Welcome to Lyndhurst Nutrition - Experts in understanding what your body needs. Lyndhurst Nutrition will help you understand what nutrients your body needs in order to achieve optimum levels of physical, mental and emotional health, and promote long life and the absence of ill health. Trained to understand the science of food and the body's systems Lyndhurst Nutrition are able to teach you how to make changes to your diet and lifestyle which will have a beneficial effect and improve your quality of life. Lyndhurst Nutrition adopts a consultative approach to nutritional healing by working with you rather than instructing you. By developing tailored programmes for each client and being "on call" via the telephone and email, we offer the ongoing support that so many of the clients need. We believe in a balanced approach, providing simple explanations and encouragement and motivating you to improve your life in a way that suits you. Optimum Nutrition is about giving yourself the best possible intake of nutrients to enable your body to function and be as healthy as possible. The optimum nutrition approach to health and wellness is not new. 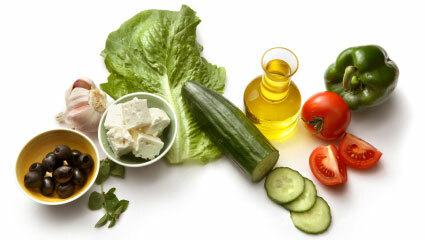 In AD 390 Hippocrates said "Let food be your medicine and medicine be your food". In the early twentieth century Thomas Edison said "The doctor of the future will give no medicine but will interest his patients in the care of the human frame, diet and the cause and prevention of disease". In the 1960s Dr Linus Pauling coined the phrase 'orthomolecular nutrition'. Quite simply - by giving the body the right (ortho) molecules, most disease would be eradicated. "optimum nutrition", he said "is the medicine of tomorrow". More recently health expert Dr Paavo Airola said "if the doctors of today don't become the nutritionists of tomorrow, the nutritionists of today will be the doctors of tomorrow". What you eat and what you drink really are vital parts of what you are - and what you will become. Every time you choose something to eat - be it a meal or a snack you are making a decision that affects you and your body in a positive or a negative way. Health professionals and most of the UK population are well aware that many diseases are often at least in part, linked to poor nutrition. So the fact is that food is not only vital fuel, but also fundamental medicine and it is vital that we pay attention to the quality and quantity of fuel that we feed our bodies. From this assertion we are told to eat a balanced diet. Simple changes made to your dietary habits can help you experience better health and overall vitality.